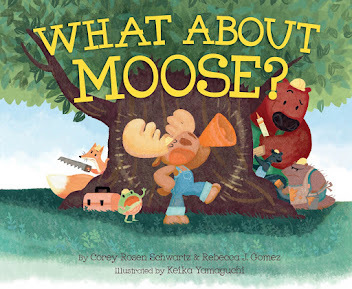 Rebecca J. Gomez: Ten Rhyming Picture Books to Read if You Like WHAT ABOUT MOOSE?! 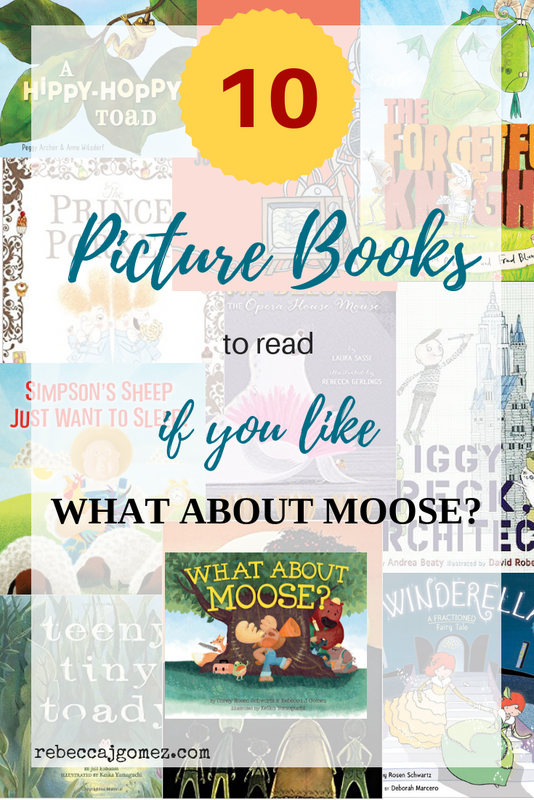 Ten Rhyming Picture Books to Read if You Like WHAT ABOUT MOOSE?! 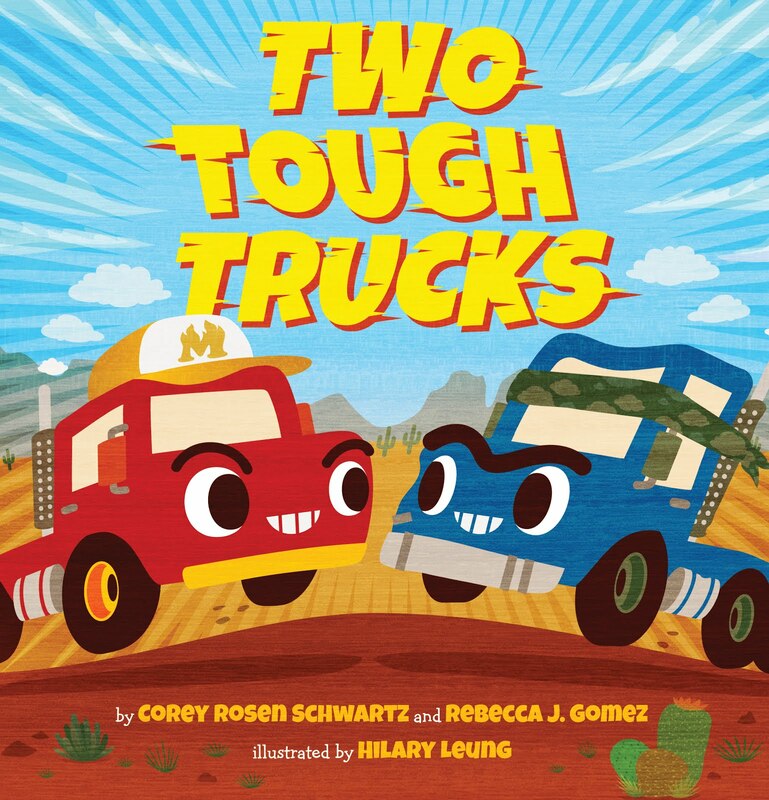 I love a good rhyming picture book. 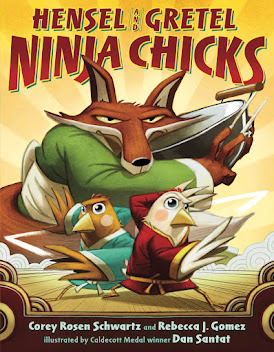 To me, nothing is more fun to read than a book with flowing rhyme, interesting language, and a fun story. Many people have said that those qualities are what they love about What About Moose?! If that includes you, I have a list of books that I think will you will be happy to add to your read-it-again shelf. Each of these books has earned a rare 5-star rating on my Goodreads shelf because they are so much fun to read aloud. And more than half of them (so far) have even made it onto the picture book shelf in my family room. I hope you and yours enjoy them as much as I have! An adorable story about a teeny tiny toad's efforts to rescue her family from a bucket. Who doesn't love toads? This is a fun and bouncy little adventure. Join the knight on his hilarious adventure. With a dragon! A sweet story about learning to accept help. In case you can't guess by the title, this is a hilarious romp. A funny and colorful story about sheep who don't want to wake up. A clever, amusing story about an ingenious dog. A funny story about a boy destined to be an architect. Cinderella has a twin?? And math! What child hasn't imagined that there is a witch in their neighborhood?